WellTea is a website created by tea lovers for tea lovers. We believe your tea cup and your taste buds deserve better than the average tea bags to be found on most supermarket shelves. So we’ve searched far and wide to source the finest teas from the plantations of China and Japan. Every tea leaf has been carefully chosen to ensure every cup will delight you with its mellow aromas and sweet, refreshing taste. Our extensive range of Oriental teas includes antioxidant packed Matcha green teas from the birthplace of the tea ceremony, Kyoto, Japan; deeply steamed Sencha premium tea; exclusive silver needle white teas and magnificent flowering teas from China. Whatever your favourite tipple from a tea leaf, we guarantee that we have a type of tea that will amaze and awaken your taste buds with its rich scent, elegant appearance and exceptionally mellow and calming taste. With so many premium and exotic teas to choose from, we invite you to take a journey of exploration through the most highly rated teas that the plantations of China and Japan have to offer. We want you discover how raising your tea drinking standards will enhance your life and take your tea drinking beyond a daily routine to that of discovering the power of exotic tea leaves to enhance your mind, body and soul. For five millennia, people in the orient have been enjoying the soothing sensations and health benefits of green tea. Popular for its antioxidant qualities as well as its refreshing taste, green tea is now drunk by millions of tea lovers across the world. There are many varieties of green tea to choose from, each sourced from different plantations throughout China and Japan, bearing their distinctive aroma and taste. However, while the scent and taste can vary, green teas are all harvested much the same way, with the leaves heated or steamed so they retain their flavour almost from the moment when they are picked. Green tea is also renowned for its healing qualities. It contains half the caffeine of black tea and high levels of antioxidants. Studies have, in fact, shown that drinking green tea regularly can reduce levels of cholesterol, relieve stress and anxiety, help to lose weight, improve digestive health and it’s even good for our teeth. With all these benefits, it’s no wonder that in China green tea has long been considered one of the seven necessities of life, along with rice, firewood, oil, salt, soy sauce and vinegar. WellTea supplies an extensive range of green tea sourced from the most highly respected plantations in the Far East, enabling you to explore the authentic world of oriental tea like never before. As its name suggests, white tea is the lightest variety of tea. Traditionally harvested in the Fujian and Zhejiang provinces of China, white tea is now also grown in India, Thailand and Eastern Nepal. 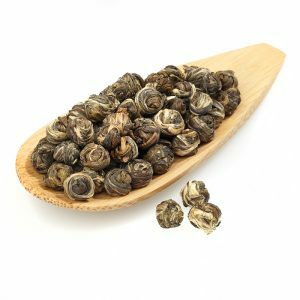 The manner in which it is produced is highly minimalistic, with the silvery-white tinged leaf buds from the Camellia sinensis plant neither oxidized or rolled. Instead, they are simply left to dry and wither on their own in natural sunlight. This helps to create a type of tea that’s exceptionally mellow and calming. 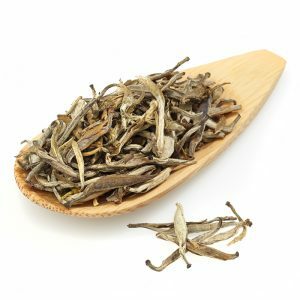 With the nickname ‘China White’, white tea is considered a delicacy among tea enthusiasts. The name is rather deceptive, however, as white teat is actually a pale yellow colour. Packets of white tea are commonly more priced towards the high end, with a cup to be savoured and a pot to be shared with a sense of occasion. Exceptionally low in caffeine, white tea also has many health benefits. Along with soothing the mind and body, it’s believed to lower blood pressure, reduce cholesterol and help to improve the health of the heart. At WellTea we supply a wide range of white teas, chosen for the luxurious aroma and taste along with their valuable health benefits. 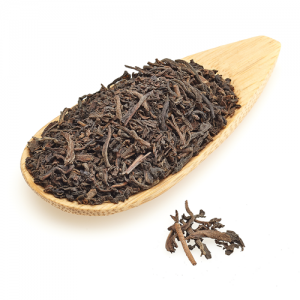 Black tea is the type of tea which western drinkers will be most familiar with. In fact, 90 percent of the tea sold in the west is of the black variety. As the name suggests, black tea is generally the strongest of all the tea types, with leaves left to wither and oxidise in the sun for the longest time to help them release their flavour. While known as black tea in the west due to the colour of the oxidised leaves, in Japan and China it is actually referred to as ‘red tea’ because of the colour of the tea water produced. Black tea has twice as much caffeine as green tea yet still half that of a cup of coffee. It also retains its flavour for several years, which led to it being used as a form of currency in Tibet, Mongolia and Siberia, with bricks of dried tea traded in the same way as bars of gold. Whether enjoyed as a hot drink with breakfast or iced to help cool you down on a hot summer’s afternoon, black tea continues to be enjoyed by millions around the world. While readily available from supermarket shelves, we think you’ll discover an exceptionally more luxurious experience from the loose and bagged black teas we’ve sourced from the best plantations in China and Japan. 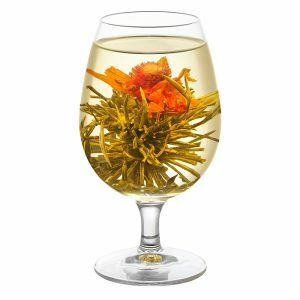 If you’re looking for a delightful display of colour in your cup, to match the delicious taste, then we invite you to explore the elegant world of flowering teas. Flowering, or blooming, teas are an intricate inter-twinning of tea leaves around dried flowers. These are left in the sun to dry and sent to you in the form of a bulb. Then when added to a cup of hot water the bulb expands and the leaves open up to release the flowers hidden inside. These are then free to dance around the cup like a flowery ballerina or left to settle to create a beautiful bouquet in your glass. Traditionally, flowering teas are sourced from Yunnan province of China, but plantations have since spread to other areas as the popularity of flowering tea has grown from a novelty to tea with global appeal. The flowers typically used in flowering teas include chrysanthemum, lily, jasmine, hibiscus and globe amaranth. In Chinese tea culture, flowering tea is served in glass containers, like elegant jam jars. This enables the beautiful display of the flower being released to be enjoyed from multiple angles and shared with friends. 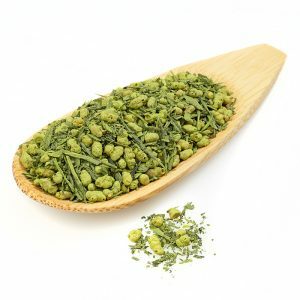 Flowering tea typically has a refreshingly fruity flavour, which is sweet rather than sour, and perfect for enjoying in the garden or to impress friends with a wonderful experience for the eyes and taste buds. Jasmine tea is renowned for its sweet fragrant scent, which gives it an air of naturalistic beauty and elegance. Its powerful aroma comes from jasmine flowers, traditionally picked at dusk when their scent is most potent, which are layered over long green tea leaves. The leaves are then left overnight to absorb the aroma which they then carry with them all the way from the tea plantations of Japan and China and into your tea cup. Along with green tea leaves, jasmine tea can also be produced through layering white or even black tea leaves with jasmine flowers so they absorb the scent. It’s traditionally grown at high altitudes in the mountains, with the Fujian province recognised as producing the most delicious crops of jasmine tea. Other areas where it is produced include Zhejiang, Guangdong, Jiangsu and Hunan. Vietnam now also has plantations producing jasmine and other scented teas. Scented tea is believed to date back to China’s Song Dynasty (960-1279) when it was served to the country’s elite at the Imperial Court as a form of tribute. At that time it was believed to be more commonly scented with musk and bomeo camphor. Jasmine begun to be used after it was introduced to China from Persia during the period of the Han Dynasty. It wasn’t until the time of the Qing Dynasty that scented tea reached western shores and has since been exported in ever larger volumes to satisfy the western world’s love of refreshingly sweet oriental jasmine tea. Our range of herbal teas offers a healthy and refreshing way of boosting your mental, physical and emotional wellbeing throughout the day. Typically free from caffeine, our herbal teas offer a delightful infusion of natural ingredients that will give you a refreshing pick me up or to help you relax. 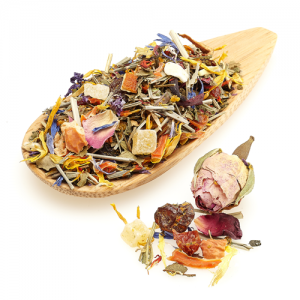 Our herbal teas comprise of a concoction of herbs, spices, fresh or dried flowers, seeds and leaves which have been carefully chosen for their flavour and benefits. This includes teas infused with oregano, lemon myrtle, guava and peppermint. 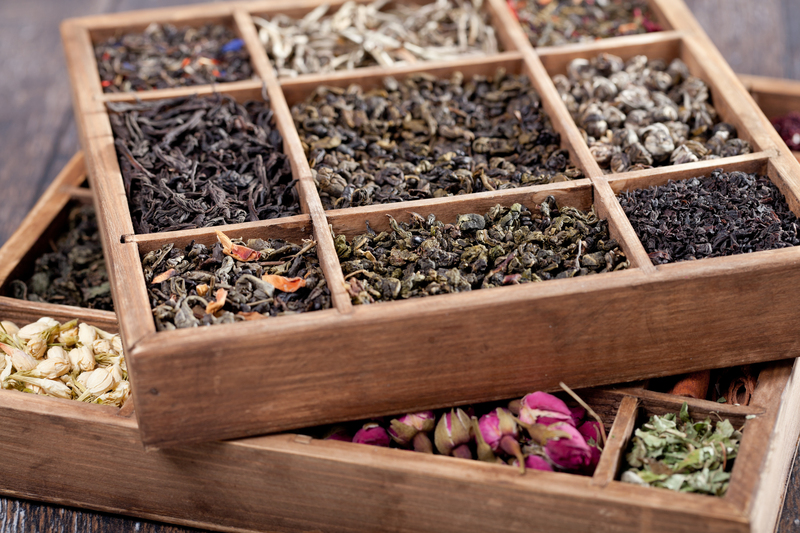 The brewing of herbal tea dates back to Ancient Egypt and China. Ever since, herbal tea has been drunk throughout North Africa and Asia on a daily basis for the perceived benefits it offers for the mind and sense of wellbeing. This tradition is now spreading around the globe, with more and more people wishing to feed their bodies with the natural health remedies to be found in nature. Our herbal teas can be brewed for a few minutes in hot water before they are strained. If you wish, you can add some sweetener, but we believe our herbal teas to be refreshing and delicious on their own. You can then simply pour the herbal tea into a glass cup to be enjoyed alone or shared with friends, and bask in the relaxing sensations of WellTea’s herbal tea together. If you’d like to add a fruity zest to your day, you’ll be overjoyed after trying one of WellTea’s deeply refreshing fruit teas. Every tea contains a wonderful concoction of real pieces of dried fruit combined with tea leaves to create a fusion of fruity aroma, zesty taste and a sense of relaxation like no other. We’ve sourced from far and wide to create a fruity tea selection which includes all the favourite flavours, such as blackcurrant, apple, lemon, orange, passion fruit and even pomegranate. Whatever the flavour, all of our fruit teas are quick to brew so you can be sitting back and enjoying refreshing cup to give your sensations a lift and add a sense of fruity luxury to your day. Usually caffeine free and drunk without milk, our fruity teas also offer health benefits long associated with fruit. So you can get an added sense of relaxation knowing that your body is benefitting from every cup as well as your mind and sense of wellbeing. What’s more, our fruity teas are just as delicious and relaxing whether drunk hot or cold. Thirst quenching and with an inimitably fruity aroma, our fruity teas offer a great opportunity to upgrade your morning cuppa, afternoon pick-me-up or late night soother with the wonderful sensations of drinking tea infused with fruit.